There was an unexpected error logging you in. Join one of the biggest and most reliable Sports betting brokerages in the world! Enjoy the best odds, combined limits, and seamless betting experience with multiple bookmakers with just 1 account via Sportmarket. Find out why we are the most trusted and favourite go-to place for all professional punters and Get Started HERE. Since we earn a small commission from the bookmakers on the turnover we send them, we are able to offer the service for free. If you are a successful punter many bookmakers will close your account or offer you very small limits. By using Sportmarket you will never have that problem as we will NEVER limit winning players. All serious sports bettors that want to get the most out of their hobby/work will greatly benefit from using Sportmarket Pro. Always placing your bets at the best odds available in the market will make a big difference over time. On top of that you will only need to keep a single account funded. Very convenient! With help of the industry-leading Customer Support, we will make sure that you have a seamless betting experience and that all your questions and queries are taken care with utmost importance and attention. From World Cup matches to lower league local clashes. Bet on 1X2, Number of Goals, Correct Score, Corners, if Both Teams will Score or Not; Find your bet without missing a beat! Bet on Winners, Game and Set Handicaps, Set Winners; Follow all the Major and Minor tournaments all over across ITF, ATP and WTA regardless if they play on clay, grass, hardcourt or indoors. Bet on all Basketball events you can imagine. NBA, Euroleague, Eurocup and many more; if betting on Totals, Winners or Spreads is your thing, you should look no further. Follow Packers, Patriots, Saints, Broncos, Cowboys, Ravens, Seahawks, Steelers and all other NFL teams in their pursuit for the Superbowl Championship Title. Don't worry, we also cover other American Football leagues across the World. Baseball has been getting a lot of attention in the recent years and you can follow all popular leagues with Sportmarket Pro. Follow and bet on the NHL, VHL, Allsvenskan Hockey, AHL, MHL and other leagues with us. Did you know that Cricket is 2nd most popular Sport in the World? Well, now you surely do! Cricket is played all year long and there is no reason for you to miss any action. If NFL is not your cup of tea, we have certainly got you covered, as we are also offer to bet on Rugby Union matches. It is true that Boxing lost some of its appeal with the recent rise of the MMA action, but we are certain that this Sport is on its way to gain former glory. The most recent addition to our pool of Sports is MMA, most notably due to the increased popularity of some of the promotion companies out there. Back your octagon favorites with Sportmarket Pro. 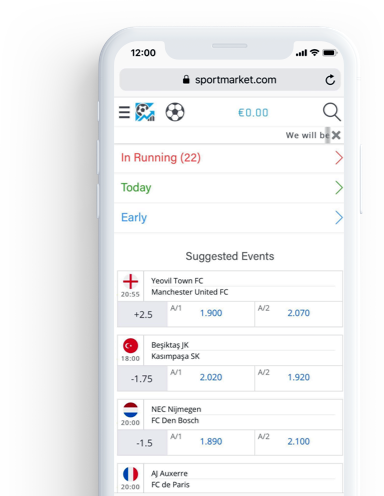 We have developed a web mobile application so that you can track all the data and info about your bets on the mobile device. Place bets through our fast, responsive and reliable web mobile app. Never miss the best odds, regardless where you are. Sportmarket partners only with the most reliable and trustworthy partners in order to get the finest odds and highest limits to the punters. It is our goal to get even more bookmakers to join the Sportmarket's portfolio and we are hopeful that this list will increase over time. I have been using Sportmarket Pro for four years and I can say that I'm astonished by the difference it has made to my betting and profits. I am really happy to receive such Service, quick replies and explanations. You can be example for all bookies how Customer Support should work! Thank you for the quick, accurate and good Customer Service. I love the amazing and quick Customer Support you have. Big thumbs up. You always respond in few minutes time. I have never met such good Customer Service to be fair. None of the regular bookmakers can compare with your Customer Support. Industry leading FREE Bet Broker service with no hidden costs. 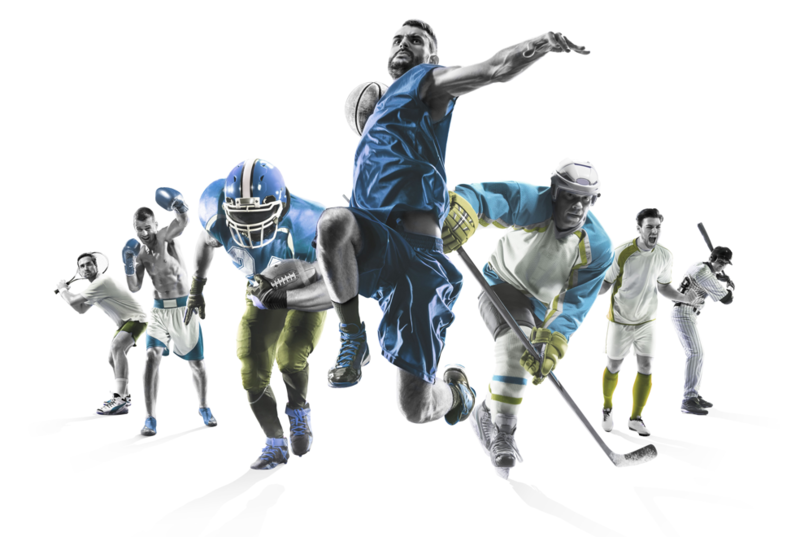 Enjoy betting without limits with multiple Bookmakers by having just a single account with Sportmarket.